Due to the fact that we are a factory environment, all orders which customers wish to collect in person should be ordered by telephone prior to visiting our premises, and any visits are by appointment only. Please call us on 01691 654979 if you have any questions. Please find below all the information you should require in placing an order with GWR Fasteners Limited. If you are in any doubt or have any questions, please do not hesitate to contact us either via email sales@gwr-fasteners.co.uk or by telephone 01691 654979. Making a purchase from our store could not be easier. Browse our products and add any items you wish to purchase to your shopping cart. When you have finished selecting the items you would like, click on 'Checkout' where you will need to enter your details so your order can be completed. 1. Credit/Debit Cards - We accept most major credit and debit cards for example Visa, Visa Delta, Visa Electron, Mastercard, Maestro, American Express, Switch and Solo. 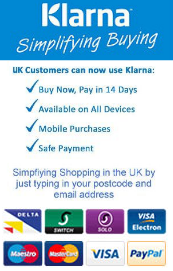 We use the secure Barclaycard payment gateway for all credit and debit card transactions. 2. Cheques - Place your order on our website and proceed to checkout where VAT and postage charges will be added to your order. Then select 'cheque' as your payment method. Please allow an extra 5 working days for the dispatch of your order. 3. PayPal - You can make payment via your PayPal account to our Paypal account (sales@gwr-fasteners.co.uk). Also you can pay with your credit/debit card without having a Paypal account. 4. Telephone Payment - If you do not wish to use the online methods, you can call us on 01691 654979 to place an order over the telephone and provide our staff with your credit or debit card details and your order/payment will be processed. To check your delivery costs, you can use the drop down box "Estimate VAT & Delivery Costs" during checkout. This will provide you with costs of shipping your goods, prior to payment, to your destination if you insert your postcode for where you would like the goods to be shipped. We reserve the right to cancel and refund any order if the incorrect postage is paid. Worldwide Delivery on Orders of £10 and over - Goods are shipped via Courier and are Fully Tracked. Using the drop down box "Estimate VAT & Delivery Costs" during checkout, this will provide you with costs of shipping your goods, prior to payment, to your destination if you insert the country to which you would like the goods to be shipped. We reserve the right to cancel and refund any order placed outside the UK. The customer is responsible for any duties or taxes imposed by their country of residence. We will normally dispatch your order within 1 to 2 working days (with the exception of specially sourced products, specially manufactured products or GWR Colourfast® products). Please allow time for your selected delivery method. If you wish to have next day delivery and you have a UK Mainland destination, orders should be placed before 1pm and if we have the items in stock, the order can be dispatched by next day courier service. We do not offer guaranteed Saturday courier deliveries because we have found, based on experience, we cannot guarantee delivery of orders on a Saturday. If your item is not in stock, we will place it on back order for you and deliver your goods as soon as possible. Goods can be returned within 14 days of receipt. Incorrectly Supplied Goods - A full refund or exchange is offered for goods that are incorrectly supplied or faulty. Please pay appropriate postage costs which will be refunded and return to the same address above. For Correctly and Incorrectly Supplied Goods, we cannot accept responsibility for returned goods which are undelivered. Please retain your proof of postage etc., you may require it in the event of a claim with your carrier. Your name and address details are stored on our website and access to this information is limited solely to the staff of GWR Fasteners Limited. We do not sell, trade or rent your personal information to third parties. Barclaycard safeguards your card and bank details. Barclaycard takes the payment from your card or bank directly, and your payment details are never shared on the internet. You can sign up to receive our monthly GWR Fasteners Limited newsletter via email however, should you change your mind, there is an unsubscribe link with every newsletter. Any information displayed on our website is intended for guidance purposes only. We reserve the right to change pricing and availability information at our discretion without prior notice. Any such changes will apply to subsequent orders by you. We make no representations or warranties of any kind (except when we are dealing with you as a consumer as defined in Section 12 of the Unfair Contract Terms act 1977), express or implied, with respect to our website or the information, content, materials or products included in our site including without limitation, warranties of merchantability and fitness for a particular purpose. In addition, we do not represent or warrant that the information accessible via this website is accurate, up to date, uninterrupted or error free. You hereby warrant that you are satisfied as to the suitability of the goods for your own specific purposes and that they are not sold to you on a trial basis.